In the town where I lived till age ten, great elm trees bordered a number of the residential streets. Their wide-reaching branches stretched across the pavement and met in the middle, creating a thick, verdant archway in the summertime. 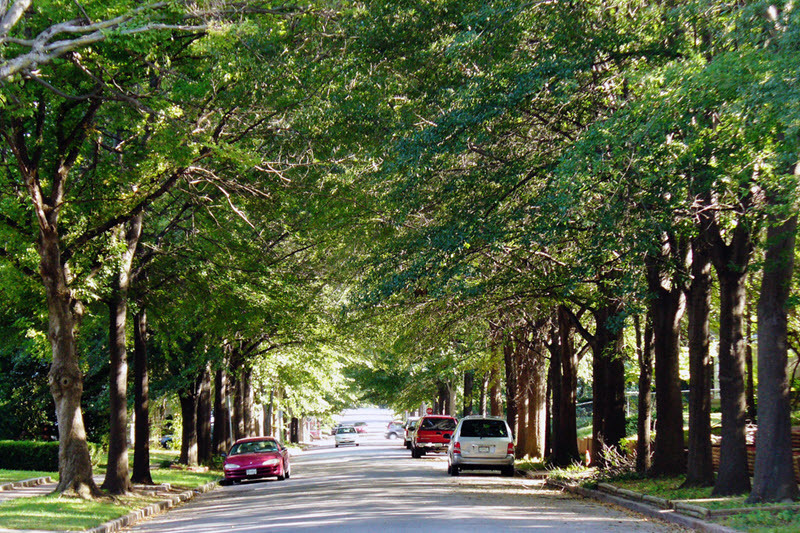 As we walked or drove underneath, the view was dominated by tree trunks—sentries of the streets in two straight rows. One stand-alone tree, tall and far spread, is an inspiration, as Joyce Kilmer’s famous poem attests. But a double row stretching to the horizon? That’s a wondrous sight you don’t forget—even after six decades. 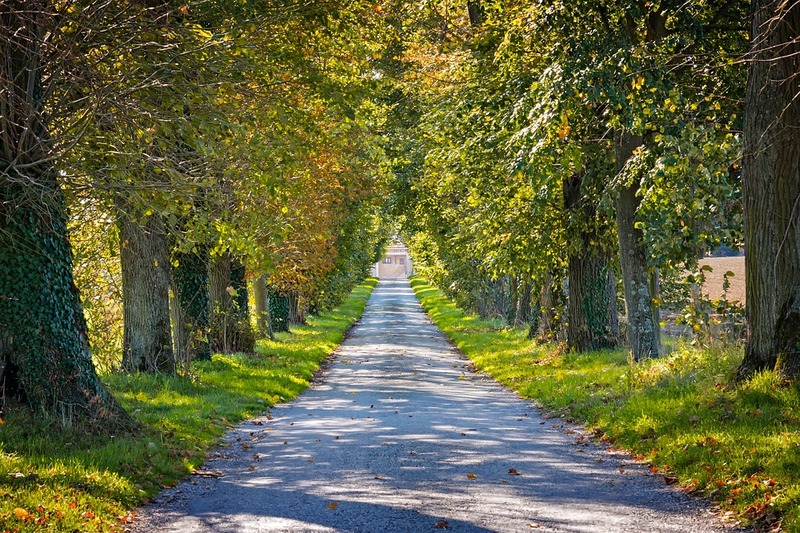 “We delight to look down a long avenue of trees. It is pleasing to gaze from end to end of the long vista. (Morning by Morning, p. 366). What better time to look down those aisles of our years than this week of Thanksgiving? …I do see the green boughs of mercy—times when God treated me with grace and compassion that I did not deserve—even in small matters. One example out of many: the time I forgot to order new books for the women’s Bible study at church. (This was long before amazon.com and priority shipping.) An emergency run to the Christian bookstore was necessary. While driving there, I prayed to find sufficient copies of a worthwhile study that we could complete in the necessary time frame: eight weeks. I know, I know. Such specific requirements. But sure enough, God supplied exactly what was needed, in spite of my foolish forgetfulness. …I see the strong pillars of loving-kindness—times when God demonstrated his tender and compassionate affection. Again, one example out of many: I spilled a bit of coffee on my computer and the mouse died. Steve tried the hair dryer trick, and miraculously, my mouse came back to life. But Steve would be the first to tell you God gets the credit, first for bringing to his mind that solution, and because “every good and perfect gift comes from above”—even problem-solving power. …I see the strong pillars of faithfulness—times when God demonstrated his firm and devoted support. Just a list of categories is quite long. God offers protection and provision, equipping and encouragement, instruction and guidance, comfort and strength, forgiveness and restoration, support and deliverance, healing and blessing. Surely there are even more. Often, God expresses his strong and loving support through his Word. Now before I reveal the verse, let me explain that just a few days prior I’d received disturbing news. Hurt and discouragement were fighting against faith and hope in my spirit. 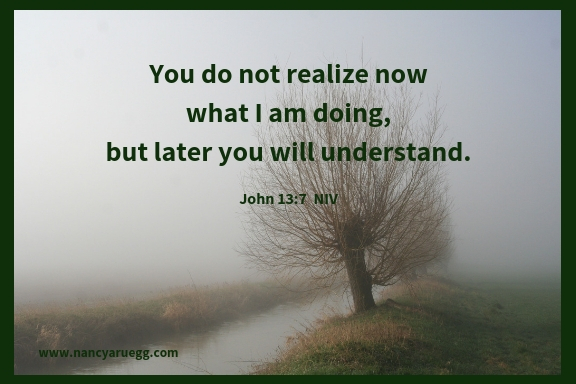 So imagine my astonishment when I read, “You do not realize now what I am doing, but later you will understand” (John 13:7). An overflow of joy in my heart became tears in my eyes. He saw my distress and came alongside with encouragement and support. No doubt you have stories of your own green boughs of mercy and strong pillars of loving-kindness and faithfulness, as you gaze down the long aisle of your years. I’d love to hear one of your examples; I’m sure other readers would too. Please share in the comment section below, and together we can praise our God for the wonders he has performed (Psalm 105:5a)! (Photo credits: http://www.strongtowns.org (Daniel Jeffries); http://www.pixabay.com; http://www.heartlight.org; http://www.canva.com (2). I took this word from God, and He prevented my sin from being uncovered. This was one of the trees that brought me to an understanding of the price Jesus paid on that tree for that sin and all the rest at the age of 33, when I was born again of His Spirit. His mercy is everlasting ! Amen, Nikki. Praise God for his eternal mercy! Thank you for sharing your story that perfectly illustrates his generous mercy. Those strong pillars of loving kindness do support our faith, don’t they. Praise God for all his attributes that he lavishes upon us! We did enjoy a wonderful Thanksgiving, celebrating with eighteen family members and friends! The Lord is constantly coming through for me! Even if something is insignificant in the grand scheme of things…if I am concerned about something…the Lord absolutely and lovingly addresses my problem. One summer I was on the tractor mowing a field. I stopped and turned off the tractor to take a little break. When I got ready to resume mowing I couldn’t find the key! I had no idea where in this massive field to look, or even if it was in that field! It could have been anywhere! As I started to walk the property I prayed to Him; I looked down and there it was!!! There are many times that He has also guided me in His Word to a specific verse and then further enforces it in my devotional! Such blessings he bestows to His children! Exactly! God doesn’t want us to be spoiled, but every now and then He sends us a blessing like this! Like you noted it is sort of a double blessing to have found the keys…as well as that flip-flopping euphoria of reaffirming our connection to our Savior. When my wife had breast cancer six years ago, I was caught off guard. However, the verse that states, “Don’t worry about anything, but pray about everything”, came to mind and heart. I took the Lord at His promise and He was faithful to see us through that time. Praise God for his loving care and power to heal! How glorious that your wife has been cancer free for six years! 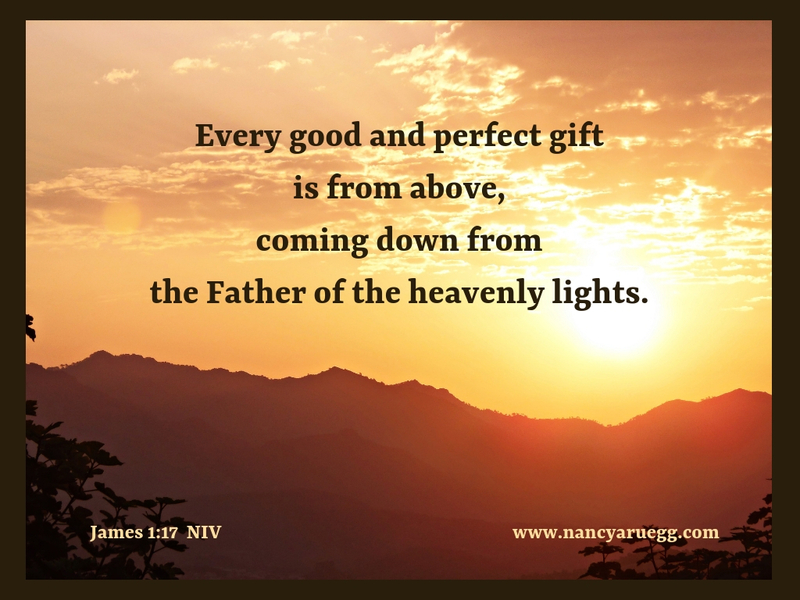 Dearest Nancy, thank you so much for inspiring my heart to look closely at His steadfast love and mercy. I don’t have to go far but look to last night, when I couldn’t see my way through the “fog of life”. I opened my devotional (My Utmost) and God reminded me that I was again looking to my own strength and not His. How quickly we lose sight of His might. But He is faithful and reminds us (through people like you) to keep a close eye on the Word and His promises there! THANK YOU!!!! Praise God you found encouragement here, Heidi. Just so you know: I, too, become frustrated at how quickly I can lose sight of His might! ‘So thankful for blogs like yours that redirect my focus. I’m reminded of Ecclesiastes 4:9-10: “Two are better than one…If one falls down, his friend can help him up.” You have been that friend to me, Heidi! Nancy, I’m reading this the day after my birthday, and how timely it is to enter the Land of Look Behind for a few moments, recalling God’s stalwart faithfulness, thanking him a-fresh for the canopy of his presence. The photo, with its marching trunks and leafy vanishing point, restores my perspective. Blessings on you! That’s one advantage of growing older: many memories of God’s stalwart faithfulness to enjoy. And birthdays provide a very appropriate occasion to reminisce and thank him. Happy birthday, Laurie!